For over 15 years, Nex has been synonymous with innovative software and data-driven solutions. 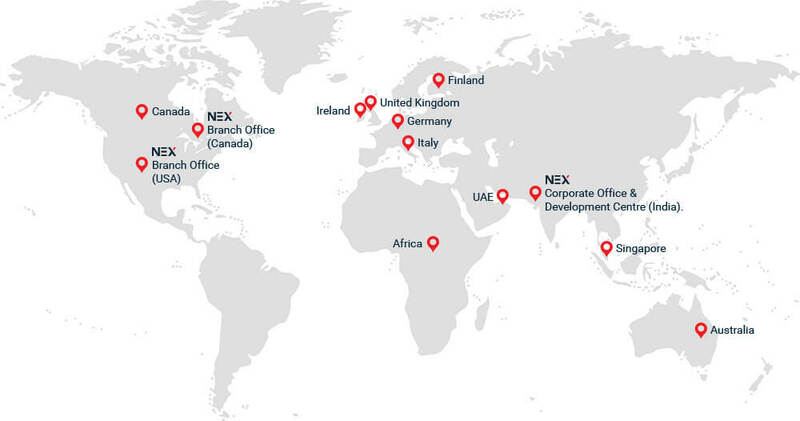 Our presence spans across 13 locations in Asia, USA, Australia, Europe and Africa. With every engagement we have enriched our experience helping our clients solve complicated challenges and expand their business potential by targeting the appropriate customer segment.